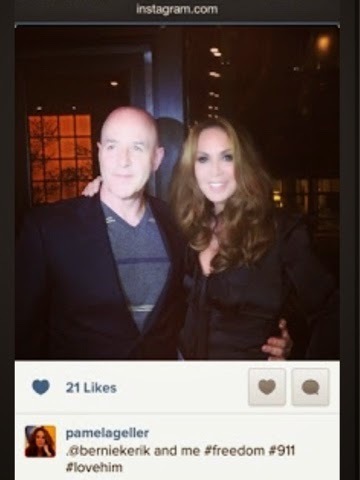 Felon Bernard Kerik and his hypocritical Muslim hating love for sweetie Pamela Geller. Muslim-hater Pamela Geller recently won a federal case earning her the right to post her Muslim-hating rhetoric on public buses of all places. Last year, during a reported 9/11 remembrance dinner she was photographed hanging all over married felon on probation Bernard Kerik, on Instagram, professing her "love" for him. 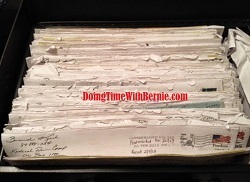 Bernie looked as if he didn't hate the smother!